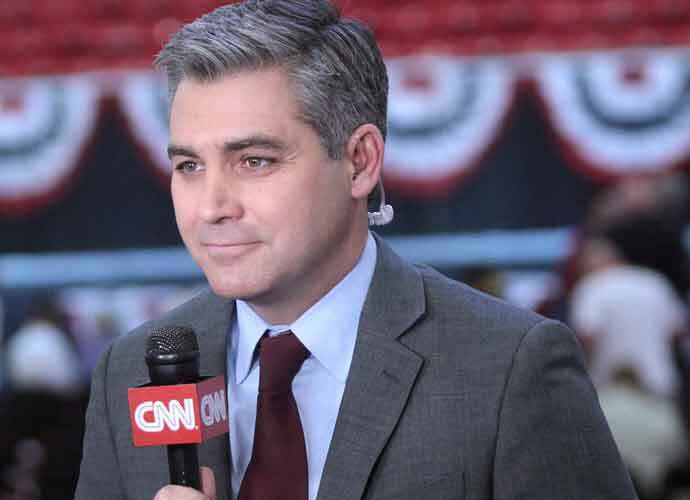 On Wednesday, the White House revoked Jim Acosta‘s press pass after the CNN reporter got into a tense argument with President Donald Trump during a wild news conference earlier in the day. “As a result of today’s incident, the White House is suspending the hard pass of the reporter involved until further notice,” announced White House Press Secretary Sarah Huckabee Sanders. Sanders and the White House also accused Acosta of “placing his hands on a young woman” who eventually took the microphone from the CNN correspondent during the news conference, after he continued to press Trump with questions on immigration and possible future indictments in the Russia investigation. “That’s enough. You are a rude, terrible person,” Trump told Acosta after he refused to sit down and stop asking questions about the migrant caravan and the Russia probe. Trump also went on to again call CNN “fake news” and “the enemy of the people” and accused Acosta of treating Sanders and other White House officials in a “horrible” way. Video footage of the incident shows Acosta never actually touched the woman — a White House intern — but rather simply turned away from her as she reached for the mic, something that several other journalists pointed out in their defense of Acosta on social media. “This is a lie,” Acosta tweeted about the accusation against him. Acosta also said in separate Twitter posts that the Secret Service had denied him entry to the White House on Wednesday night. “This unprecedented decision is a threat to our democracy and the country deserves better,” CNN said in a statement in response to the White House’s suspension of Acosta.